For years, the TED organization has been churning out fantastic speeches on the topics of business, leadership, education, and technology. We picked out some of the most watched Talks of all time and explained why every financial advisor needs to watch them. Each featured presenter has mastered the art of story-telling. Making these easy-to-watch (or listen). But do not miss the real-world applications that can be drawn from each talk. That is the theme of Simon Sinek’s now famous TED Talk from 2009. 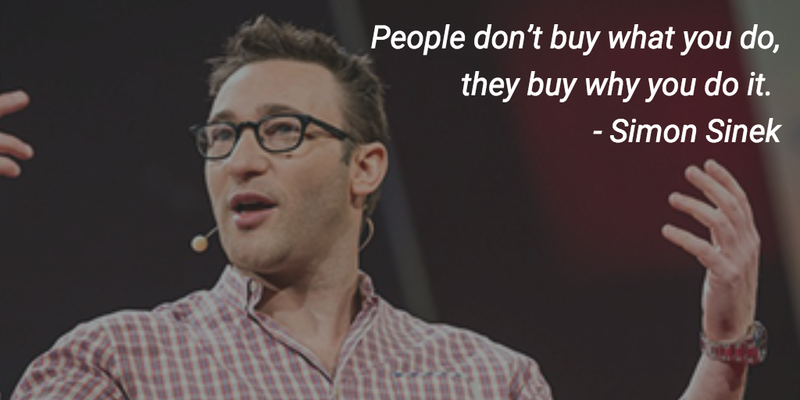 Using his concept of the Golden Circle, Sinek explains the flawed sales method. ### What### Starting with what is how the average leader or sales person begins. They describe the product, the company, the service, and what is different about it. ### How### In this stage, you describe the methods by which your product or service works. ### Why### Finally, wrap up their presentation by explaining the reason for what they’re doing. This is the most compelling part of the delivery, but it is so often saved for last. Sinek argues that this is backward! If you start with why, then you’re able to match your beliefs with that of your audience. If you explain to people what you do, then you may keep their attention. If you can find people who believe what you believe, then you will find it easy to help them solve the problems they were unaware of. 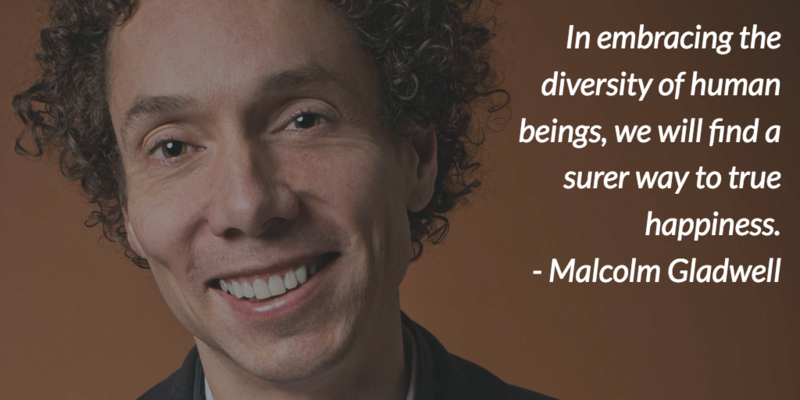 Malcolm Gladwell tells a passionate and detailed story about how we came to have dozens of options for spaghetti sauce. In the 1970’s, Campbell’s hired psycho-physicist Howard Moskowitz. His job? To help them discover the perfect tomato sauce. In his studies, Howard concluded that there is no perfect sauce. There are only perfect sauces. In doing so, he challenged the dogma that there is a perfect scenario that will make all people happy. He determined that taste and preference is in fact a horizontal plane, on which there is no right or wrong. There is only right and wrong for each individual. The takeaway for advisors is that no product, however great, will be the perfect solution for all your clients. You all have products and companies that you are more comfortable with because you know them well. Malcolm is driving home the point that we all need to get out of our comfort zone and find the right fit for every client. 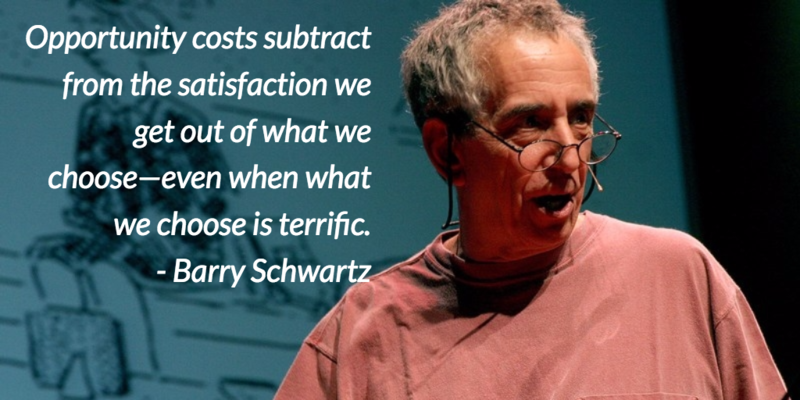 In a contrast to Gladwell’s talk, Schwartz argues that more choice does not necessarily equal satisfaction. For insurance buyers more choices do not mean they are better off. In fact this does not improve the buying experience, it creates anxiety. It is your job as advisors to use your experience and knowledge of your clients to prescribe solutions. Too many choices actually cause procrastination. By reducing the number of choices, you will make the process better for the client and reduce the negative effects of buyer’s remorse. As an advisor, think of yourself as a museum curator. Your job is not to present all the options, but to remove the options that are not the best for the individual you are helping. 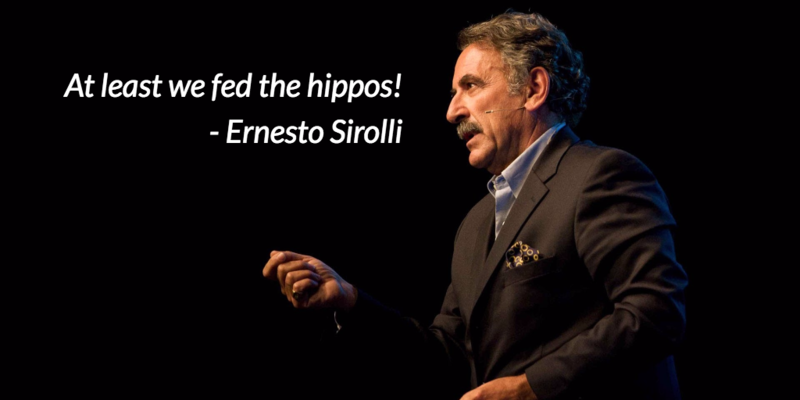 In this highly entertaining talk by Ernesto Sirolli, you will learn that the best way to help is to stop trying to help. Ernesto tells the story of his attempts to introduce agriculture in sub-Saharan Africa. Apparently, tomatoes grow quite large in this region. This made Ernesto and his Italian aide organization quite pleased with themselves. Unfortunately, just when the tomatoes had reached maturity, hippos came out of the rivers and ate the entire crop. How often do we launch into making recommendations before we even know who we are talking to, and what they need? Instead, try listening to your clients. Learn about their passions. Learn about their goals. Learn about where they are and what they want to accomplish. Then you can match your recommendations to their aspirations. 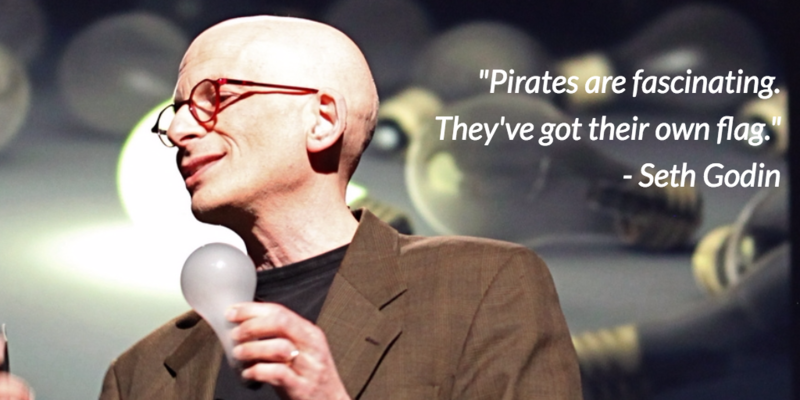 Seth Godin is one of the most brilliant marketing minds of the last quarter-century. In his talk, he teaches that the internet has ended the age of mass media and has re-introduced a new era of tribal leadership. Tribes are people who care about a cause enough to organize and connect with others. By leading these tribes, we can change the status quo of our industry and our community. There are many people out there that love their family and their business and yet have no idea they are leaving those things unprotected. Seth can help you better identify ways to find the people you are looking for.